‘Oh yes’ said Joakim casually. 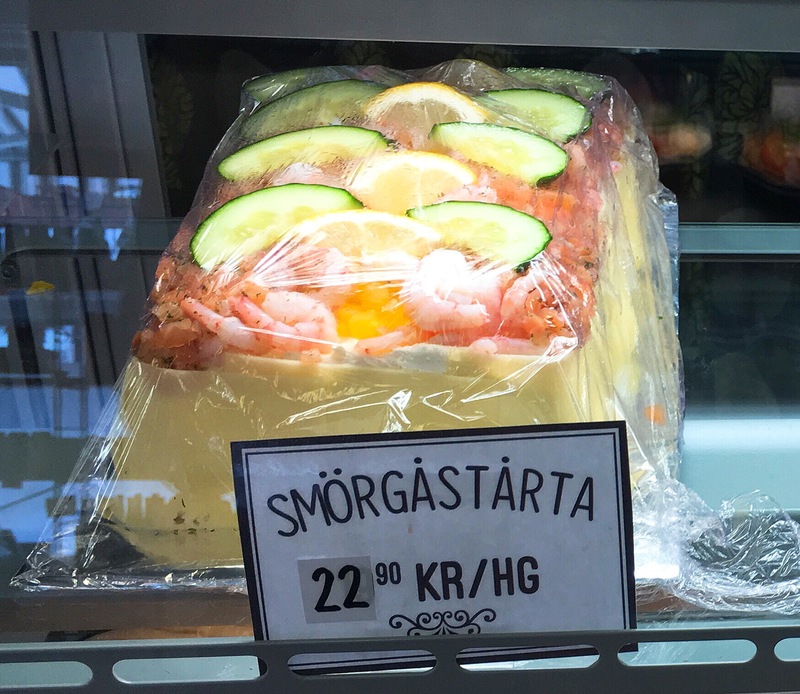 ‘That’s a sandwich cake. They were very big in the 80s, my mum used to buy them’. 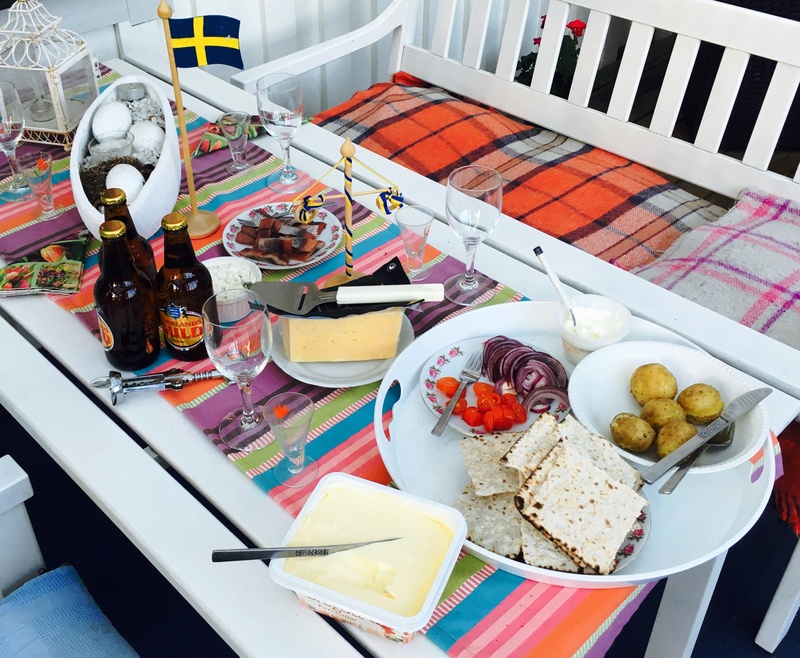 Known as a smörgåstårta it’s constructed like a layered cream cake but instead made with rye bread and savoury creamy fillings. 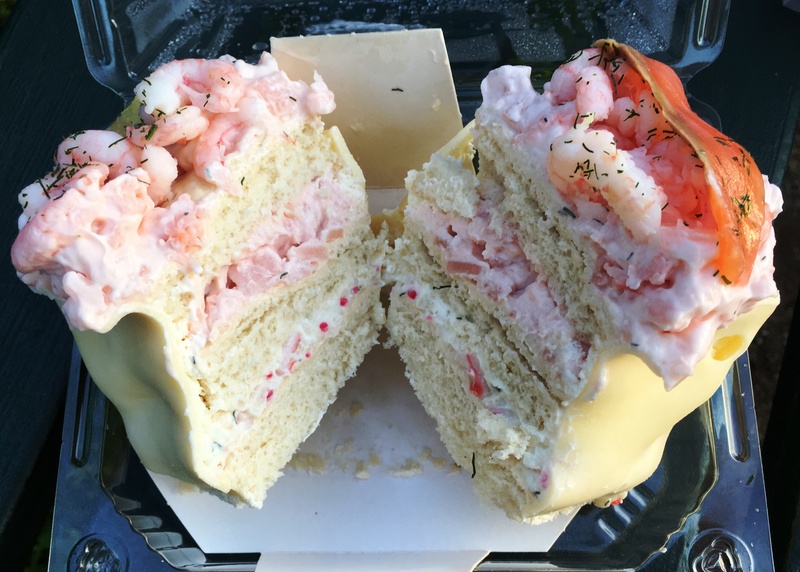 Inside we found layers of layers of prawn and crayfish mixed with mayo. 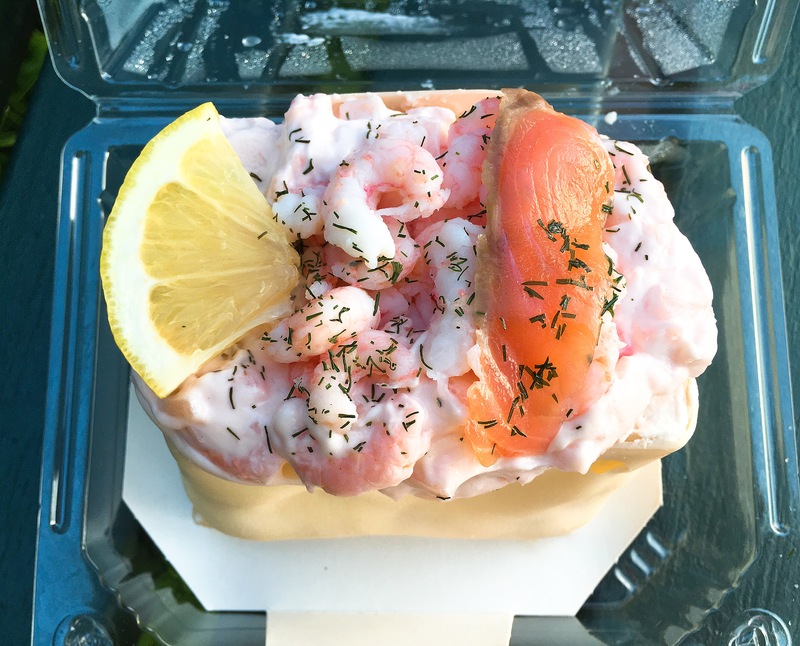 Whilst they can feed seemlingly thousands, the one I tried was a more demure size with layers of prawns, crayfish and mayo, embellished with salmon and prawns and draped with sliced cheese. So retro but so tasty! 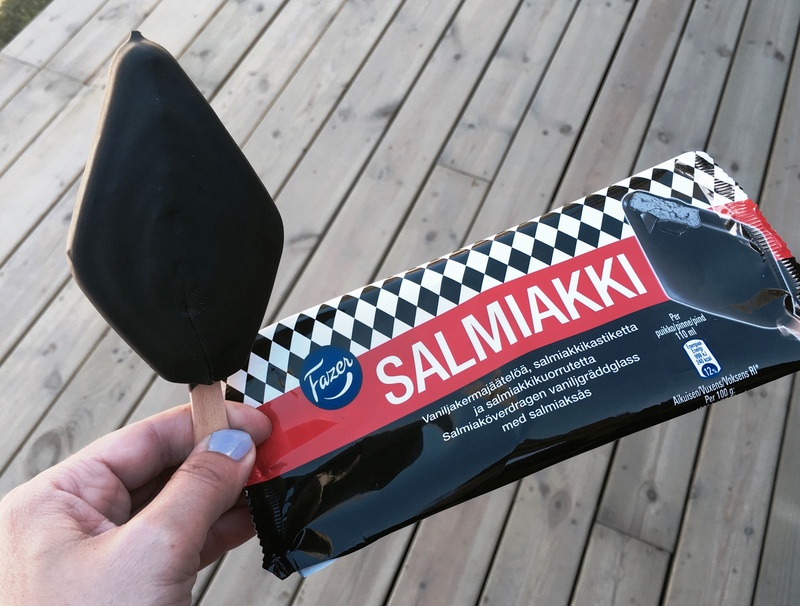 I’ve long known that the Swedes (and all the Nordic lands) are batty about their liquorice and I still remember my delight in discovering salty liquorice. 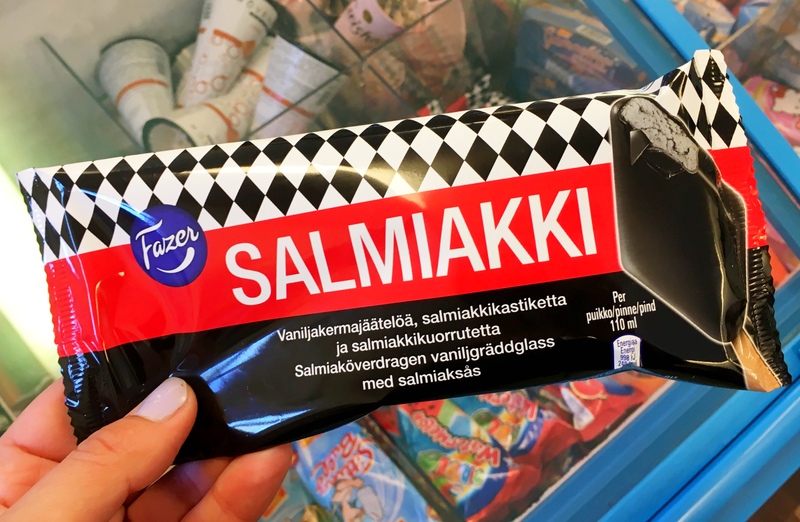 However the ice-cream iteration was not something I was prepared for so I literally cried in delight when I stumbled across it in a little shop on the island of Grinda with my friends Johan and Veronika (disclaimer – while I ate it in Sweden it’s actually produced by a Finnish company called Fazer). Not only delicious but the packaging and shape of the ice-cream are, in typical Nordic fashion, stylish and cool. Liquorice haters need not apply for this one as you get a double whammy of liquorice ice-cream and a liquorice shell. The ice-cream was beautifully smooth and the texture balance just right. I never thought grey food could be so fun. Plus the packaging is your typical Scandi cool. I WISH I could track it down in Sydney. 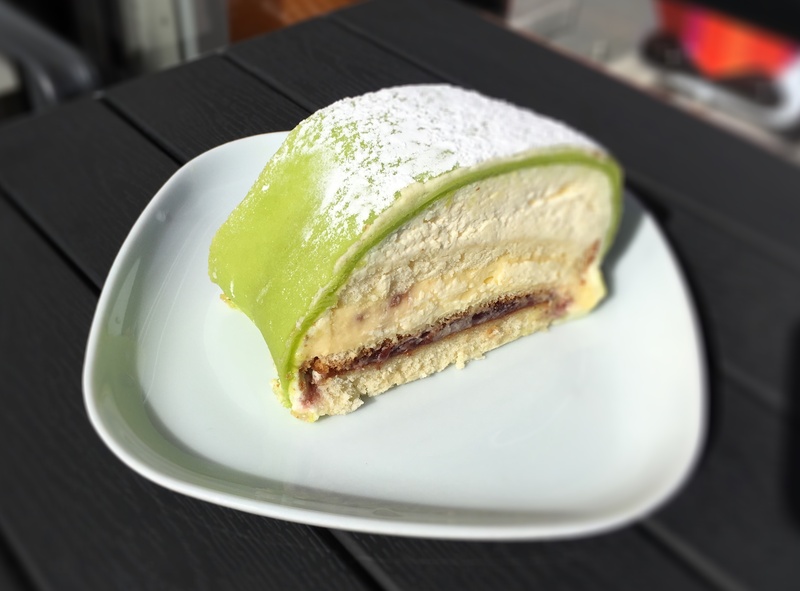 A slice of elegant princess cake is a mainstay of Swedish fika time. My (non-Swedish friend Deb) first brought this cake to my attention as it had been featured on The Great British Bake Off. And what’s not to love about a sweet treat that’s as green as Kermit? 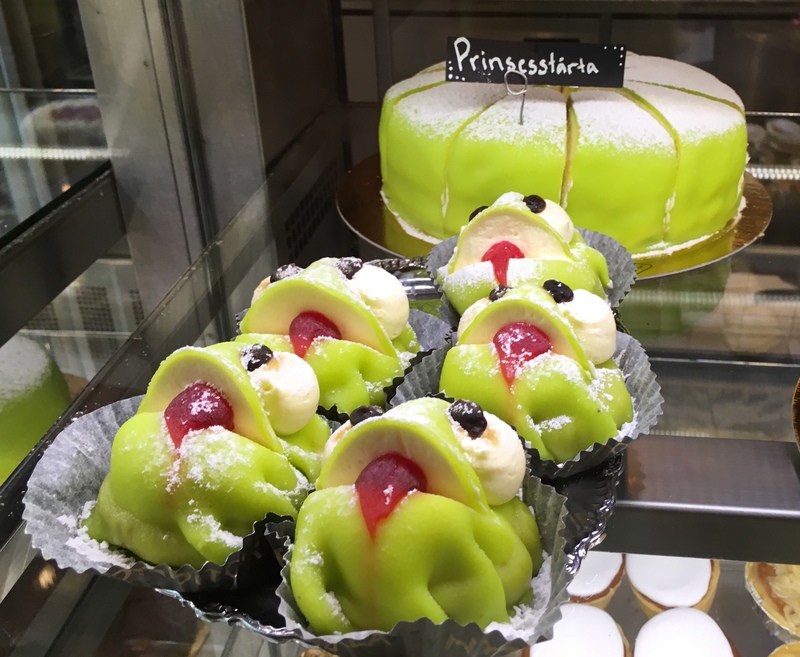 Take your prinsesstårta as a whole cake or as individual frogs – it’s your call. A princess cake or prinsesstårta is a traditional Swedish cake made with layers of sponge cake and cream, shaped into a dome, topped with green marzipan and sprinkled with icing sugar. It’s a very distinctive cake, not to mention delicious. Once it was on my radar I had to try it in every town and I quite like the creative variations. Mini frog prinsesstårta anyone? I’m the last person to discriminate against dairy, especially cheese. 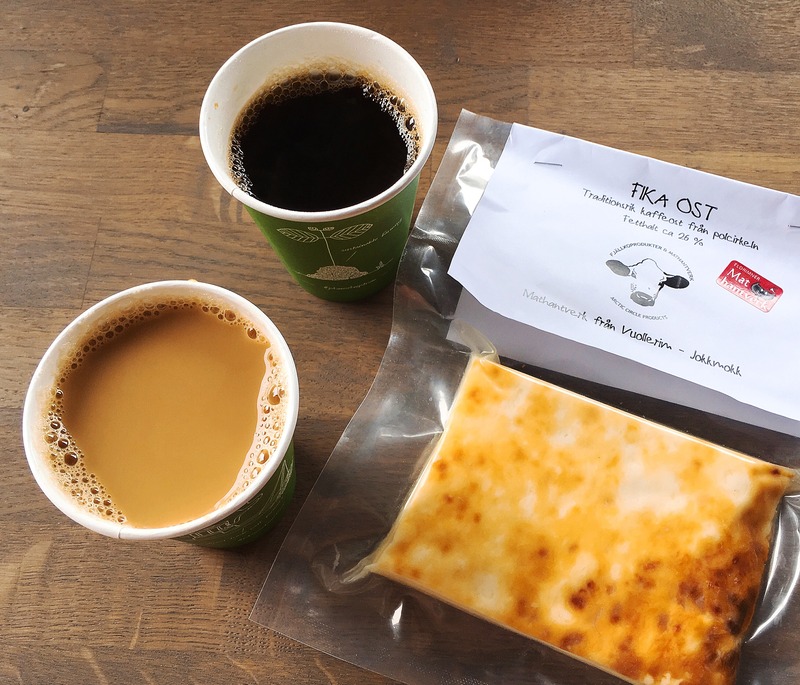 But I did slightly baulk when informed about coffee cheese that is a stalwart of Northern Swedish diets. 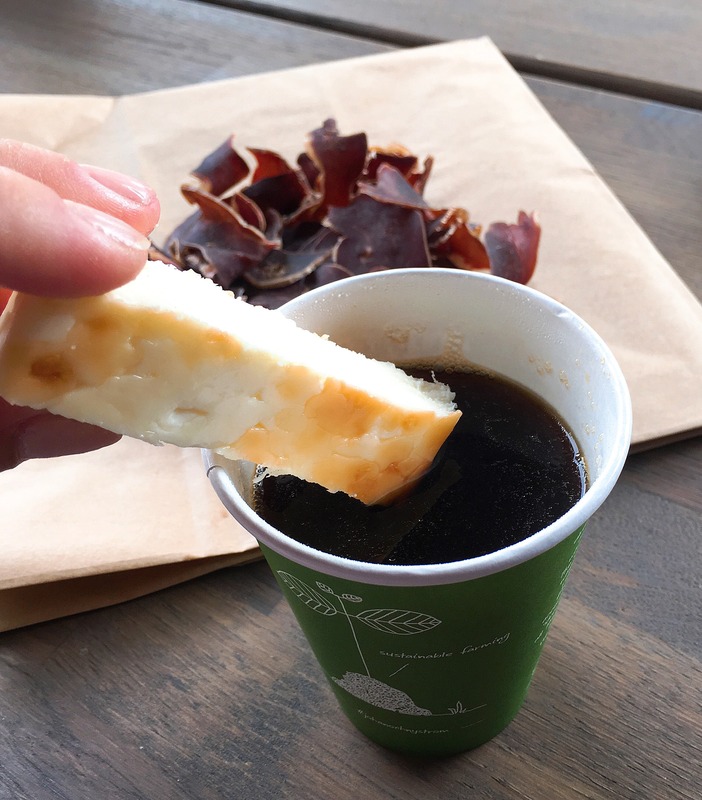 It sounded like an oxymoron to me – how could one eat coffee with cheese, in the same mouthful? 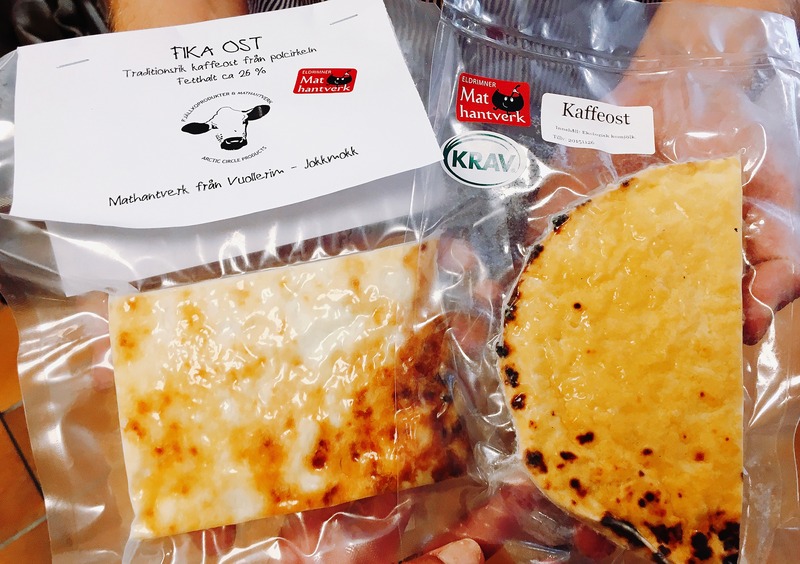 Kaffeost (literally meaning coffee cheese) is a fresh cheese made from cow or reindeer milk which is curdled and set in a round disk then baked to give it its distinctive charred marks. I spotted it in the northern town of Piteå then finally tried it on our last day in Umeå. Did it taste like a mouthful of tiramisu as some claimed? Well no. In fact I’d venture to say the ingredients work better solo than in a relationship. However I can imagine being in the north during winter and not exactly inclined to milk a cow for my coffee so in this instance the cheese would do the trick for a creamy dairy kick. Best name for a cake ever right? I mean who wouldn’t want to eat a vacuum cleaner. Swedish dammsugare literally means ‘dust sucker’ and the name derives from the supposed tradition of using yesterday’s cookie crumbs (from the floor of course – thus the requirement for a vacuum cleaner) as part of the mixture along with punch liqueur, butter and cocoa powder. 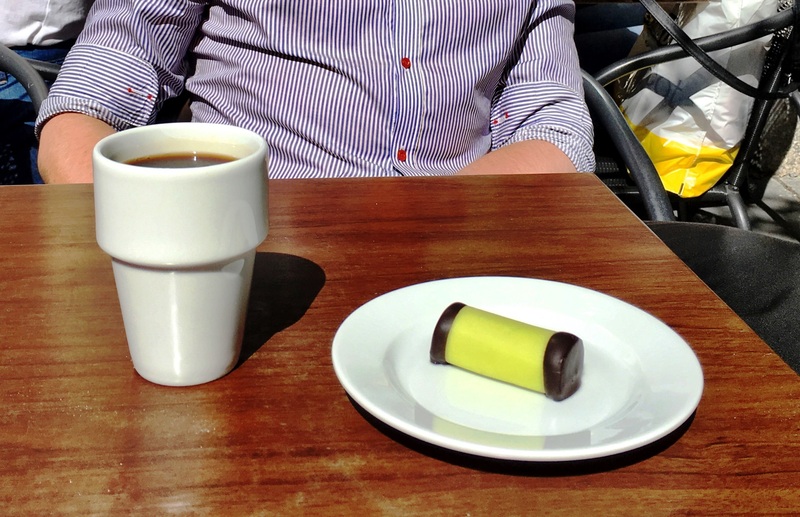 The outside is covered with, you guessed it, green marzipan and each end is dipped in chocolate. Coffee and a vacuum cleaner. 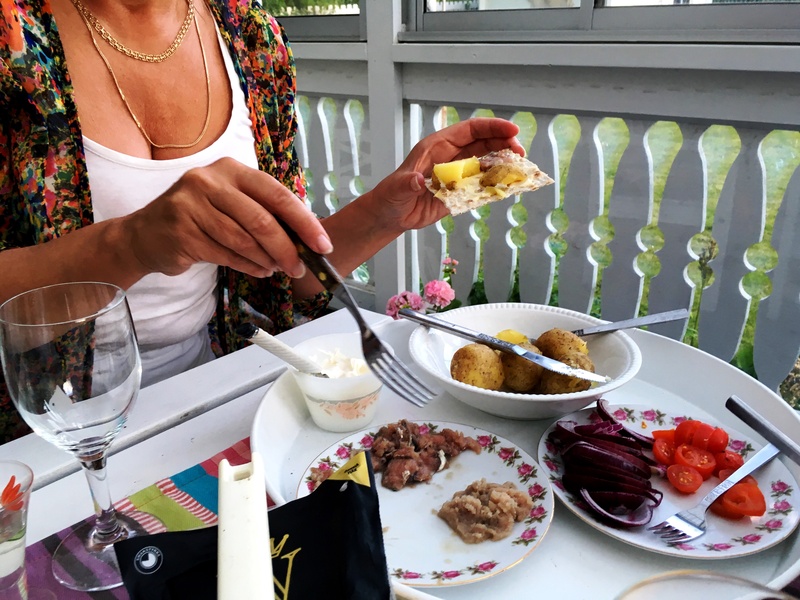 Standard in Sweden. It’s quite a striking sweet. I pounced on one when I first went to Sweden, unused to anything of a sweet nature coming in green. 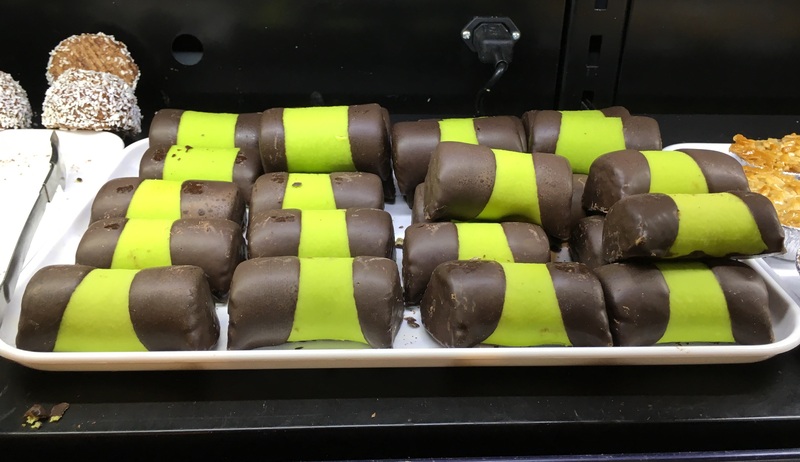 I’ve since spotted them at my local IKEA which somewhat curtails their mystery but I would still prefer to enjoy one with my fika over in the homeland. Hi Alex, Just read your blog, very good. 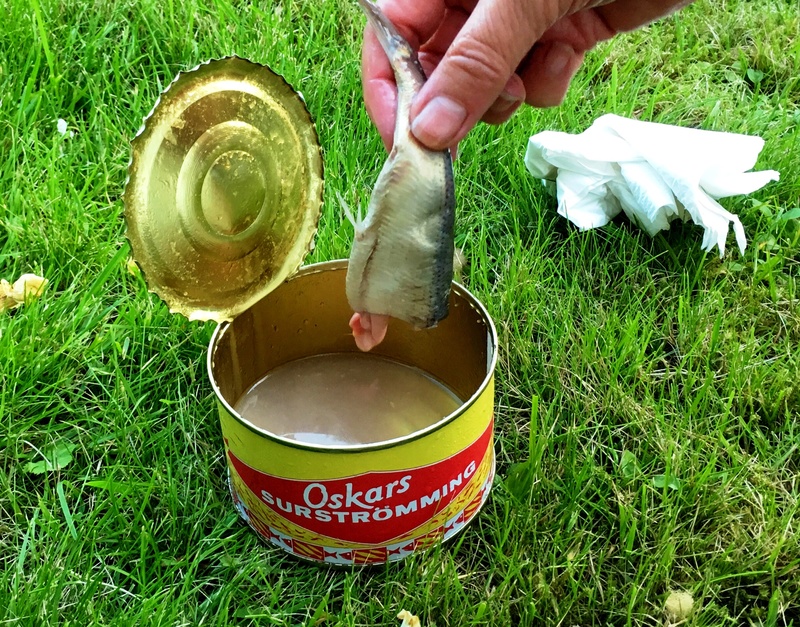 Love reading about your strange Swedish foodie finds! 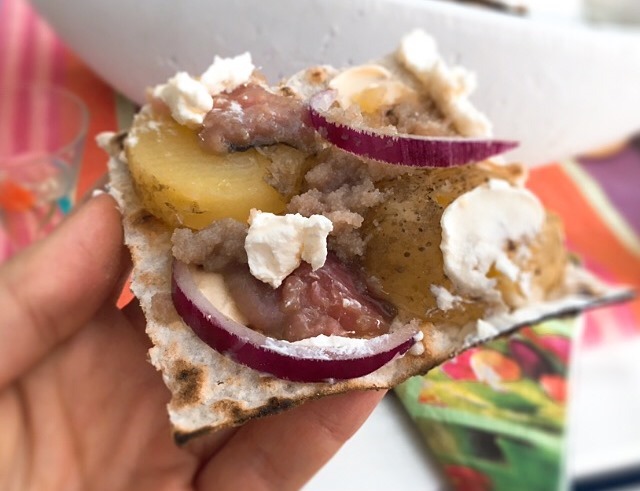 Have you tried rød grød med piske fløde? Sounds really funny. Am sure I had that at a Swedish family’s home many moons ago! Saying the name of it many times over was hilarious – we thought so anyway after many of the local clear stuff!. Can’t remember if I liked it but it’s a sweet treat so more than likely!! I don’t know that sweet, please tell me more!